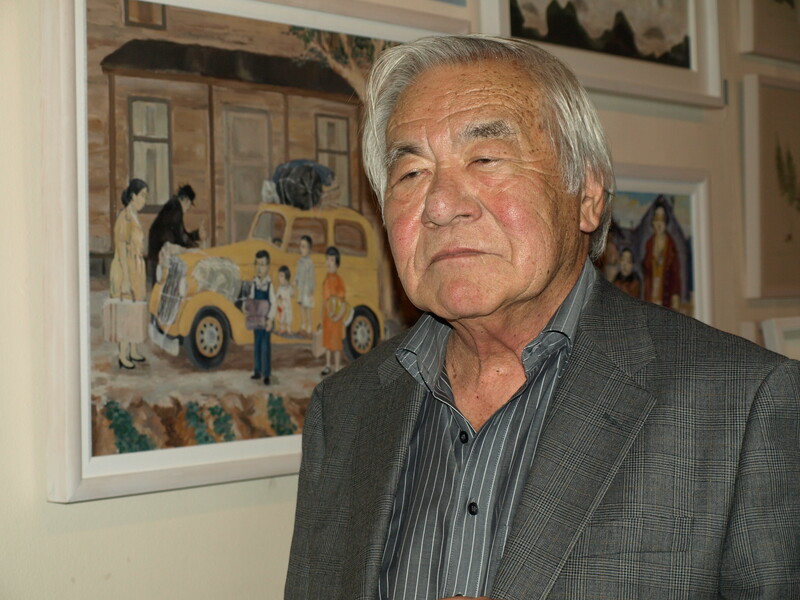 Jimmy Murakami at the exhibition of his Tule Lake Paintings in Dublin. My life over the last few weeks seem to have revolved around Jimmy Murakami, the director of ‘Snowman’ and ‘When the Wind Blows’ and also the subject of my documentary ‘Jimmy Murakami – Non Alien’. 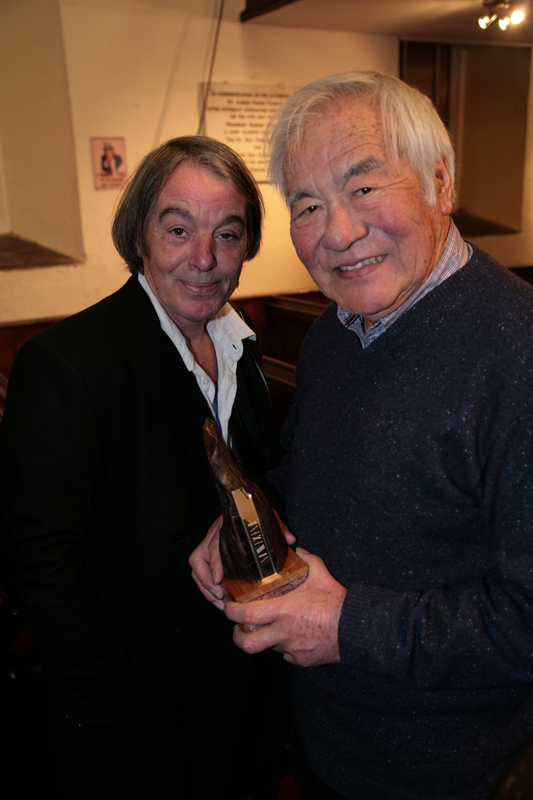 Dingle Film Festival innaugarated a new annual award ‘The Jimmy Murakami Award’ and asked me to present the first one to Jimmy. Dingle also hosted a special focus on Animation so all the leading players like Jam Media, Brown Bag and Cartoon Saloon were in Dingle to give workshops. So the venue was packed with animators who would consider Jimmy to be the man that gave this art form a kick start in Ireland. Jimmy arrived in Ireland 40 odd years ago to work on a feature film and met a young lady called Etna and from then on Ireland became his home. I organised a screening of a short film made by Jimmy in 1969 called ‘The Good Friend’. It was the first film awarded a grant when the American Film Institute was established. 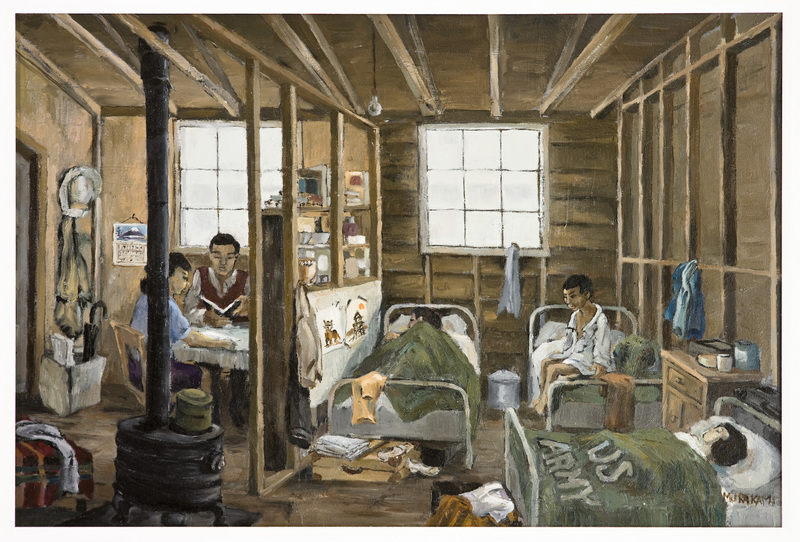 I also showed a short clip from ‘Non – Alien’ which told the story of Jimmy’s incarceration in Tule Lake concentration camp in Northern California after Japan attacked Pearl Harbour. He was only 8 years old at the time. He and his family spent 4 years locked up and Jimmy still sees it as one of the great scars in American history. Jimmy took the stage and gave a great talk that took us through some highlights of his wonderful life. Jimmy is at an advanced stage of pre – production on a feature film based on the Atomic destruction in Hiroshima. All thanks must go to Dingle for honouring Jimmy’s great contribution to the Irish Film Industry. LONG OVERDUE. A few days later the Dublin Branch of Royal Television Society invited Jimmy to give a keynote speech to its members on the grounds of RTE. The man is in great demand. This entry was posted in Jimmy Murakami - Non Alien and tagged Animation, Dingle Film Festival, Jimmy Murakami, Loopline Film, Pearl Harbor, Royal Television Society, Sé Merry Doyle, The Snowman, Tule Lake, When the wind Blows on March 24, 2013 by Sé Merry Doyle.